3-CD DigiPac (8-seitig) with 100-page booklet, 96 tracks, playing time approx. 210 minutes. 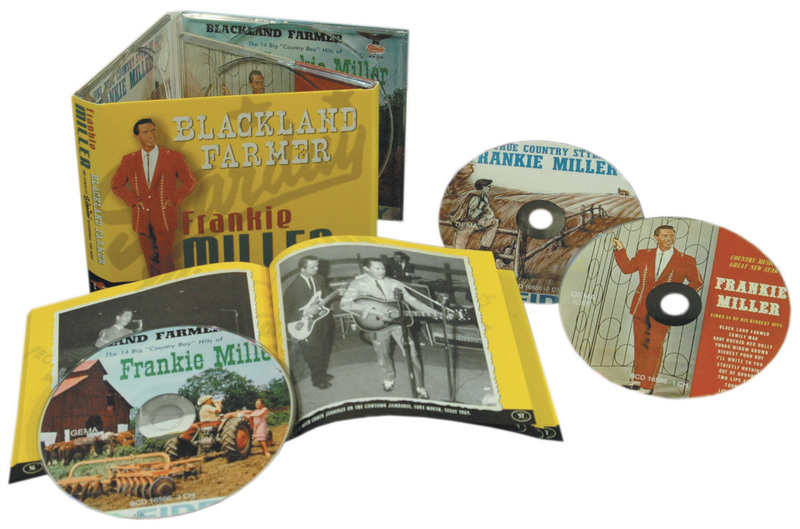 •	Contains every Starday recording – previously issued or unissued – by Texas honky tonk legend Frankie Miller, including alternate takes, including the giant 1959 hit Blackland Farmer... a hit again in 1961! •	Contains more than two dozen previously unissued Starday demos, false-starts, and original session chatter plus many other songs never available on CD. •	Includes a wealth of vintage photographs and clippings, newly researched biography, and complete discography. 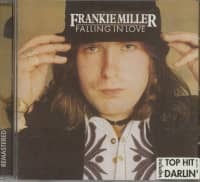 Frankie Miller is no longer a mainstream figure in country music, and some even confuse him with the Scottish rocker of the same name. But country and rockabilly collectors have waited decades for this reissue. They value Frankie Miller's original singles and albums, and want more information about the artist. This 3-CD-set is a radical expansion of Bear Family's now highly collectible 1983 LP of Frankie Miller's Starday recordings. By then, he was retired from the music business, his earlier hits all but forgotten. Now he gets his due! Doing right by Frankie Miller's incredible Texas honky tonk legacy, Bear Family reissued his Columbia and 4-Star recordings (BCD 15909) in 1996. Since then, there has been a steady clamor for the complete Starday recordings. Now they're here... and much more! 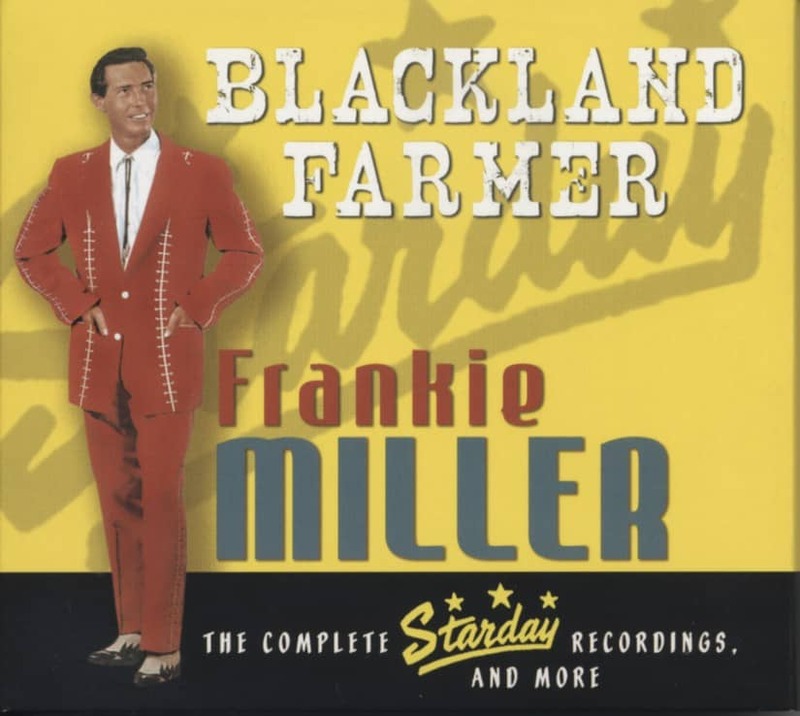 'Blackland Farmer' includes every 45RPM and album track Frankie Miller recorded for Starday Records plus the gospel EP and unissued material including alternate takes. In addition, this 3-CD-set includes live performances from the Big D Jamboree, plus Frankie Miller's pre-Starday sides for the Cowtown Hoedown label, as well as all of his recordings – both issued and unissued – for both the United Artists and Stop labels. Finally, the set includes Frankie Miller's vocal/guitar demos from the Starday era. 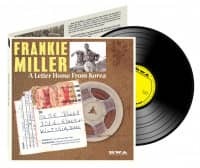 These sides, never intended for commercial release, offer an unprecedented look into the development of individual songs, as well as Frankie Miller's distinctive vocal style. 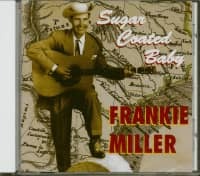 Even Frankie Miller (who participated enthusiastically in Hank Davis' production of this reissue) was amazed to hear these tracks, many of which he had forgotten over the years. No one has done more than Bear Family to document the Texas honky tonk scene... from big stars like Bob Wills and Ernest Tubb to underground classics and collectors' favourites, like Frankie Miller. Frankie Miller is no longer a mainstream figure in country music. Despite making handfuls of good, even great records, some for major labels, he has slipped into undeserved obscurity. 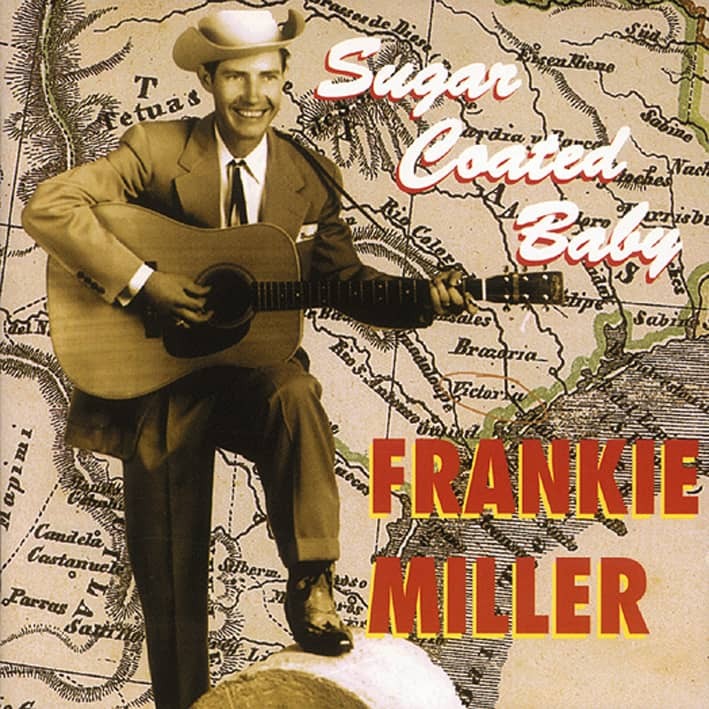 A web-based search for his name yields far more information about a 1970s Scottish rocker named Frankie Miller than the Texas-based country singer we feature here. Never known for its fairness, the record business has really outdone itself in Frankie Miller's case. 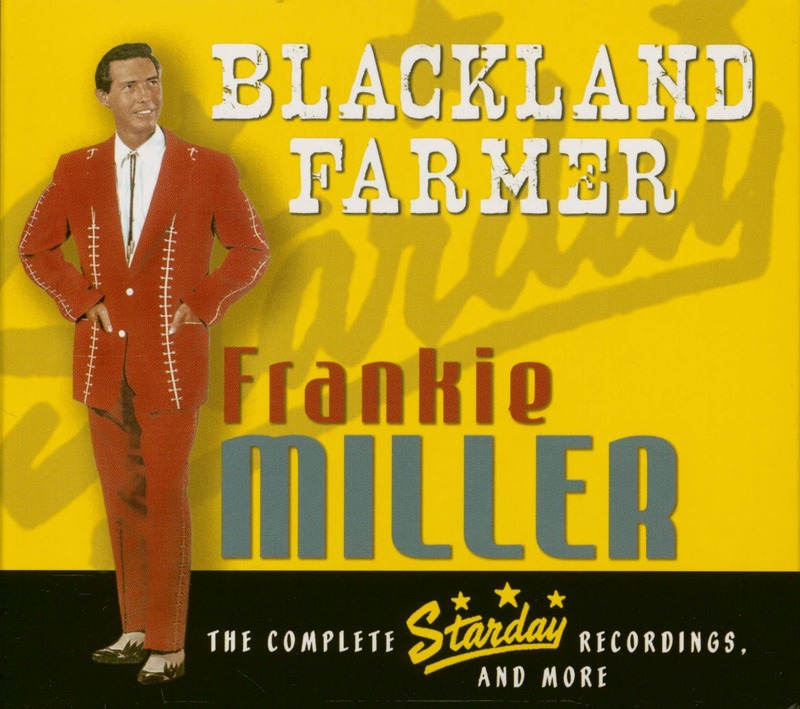 This collection contains every title Frankie Miller recorded for Starday Records in Nashville. These include both sides of all 17 single releases, the tracks from three solo albums. We've even got Frankie's original gospel EP here, along with whatever unissued material remained in the Starday vaults. We also include the few alternate takes that were preserved over the years. In addition, the live performances originally issued on Starday SLP 264 'Live At The Big D Jamboree' are included here. And, we present Frankie's vocal/guitar demos from the Starday era. These sides, never intended for commercial release, offer an unprecedented look into the development of individual songs, as well as Frankie's distinctive vocal style. In addition to Frankie's Starday material, we present the first reissue of his 1957 pre-Starday single for the Cowtown Hoedown label, as well as all the sides he cut for United Artists in 1962 and those he did for Pete Drake's Stop label in 1966 after leaving Starday. All in all, this collection offers the most comprehensive look yet at the best years of one of country music's true masters. Between the years of 1959 – 1963 there was no stronger, no more powerful body of work in American country music than the songs recorded by Frankie Miller. Period. Admittedly, that's strong praise. We're certainly not saying that every track Frankie cut during this period belongs on your desert island list. But many of them do. There are records here, created during this relatively brief period of time, that are simply among the best country music has ever had to offer. Frankie's best during this period is as good as it gets. That one man should produce so much good music in a very brief period of time is worth your attention. The short list of performers for this 'Maximum Quality in Minimum Time' is short, indeed. Hank Williams. Johnny Cash. Marty Robbins. Perhaps George Jones? 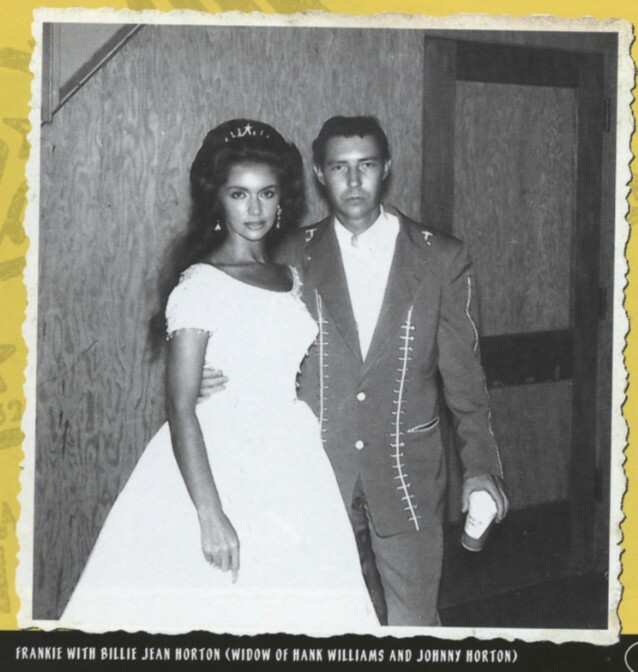 Webb Pierce? Lefty Frizzell? Faron Young? This is elite company, and we're arguing that Frankie belongs in it. There are some singers whose voices you remember forever after hearing them once. At their best moments, their voice becomes part of the song. Johnny Cash singing I Walk The Line or Hank Williams singing I Can't Help It. Frankie Miller has that same distinctive way with a song. As a result, much of Frankie's work is definitive in the same way. If someone else sings Blackland Farmer it turns into a different song, not just a new performance of a familiar song. Why does that happen? First, there's the physical character of Frankie's voice. The slight rasp on that baritone makes you feel like you're vibrating with it. Frankie's always right on the note, except when he tails off at the end of a line like Ernest Tubb so often did. But he's not always right on the beat. Sometimes he lags a little behind the beat or gets a little ahead of it, while the band chugs along in perfect rhythm. It makes his delivery almost conversational while maintaining its musicality. Above all, it sounds natural and easy, never mannered or labored. Lesser singers with bigger reputations (no names, please) can't carry that off. In Frankie's case, the song sounds like it's pouring out of him. The result is intimacy: He's singing to you. Sometimes it's more like he's talking to you, and there just happens to be a melody to his words. But all this is easy not to notice. Frankie's power often goes undetected. You do notice the good work by the band: the guitar hooks and fills. You notice the wonderful songs that Frankie wrote or chose to sing. You notice that the results often add up to a nearly perfect record. But somehow, Frankie's contribution gets taken for granted. Henry Fonda is said to have remarked that acting should seem effortless, that the audience shouldn't see that you're working. Frankie Miller has applied this advice to his music: He gives us seemingly effortless performances that took years to craft. For the first time, all of Frankie Miller's Starday music has been brought together in one place. You can sit back and fill the room with powerful performances from original master tapes or you can listen carefully, track by track, and dissect the music until there's nothing left but vocal phrases and snatches of guitar solos. Whatever your preference, you've got everything you need to work with. You're holding a brief period of country music history in your hands and you can rest assured that there is nothing better in its time. In the pages that follow, we'll tell you about (and show you) the man who made these wonderful records, and we'll walk you through the music, track by track. But you already know the punchline: It doesn't get any better than this. Although neither of his parents were musicians ("My daddy was a railroad engineer. He worked for the Southern Pacific Railroad for 48 years. I grew up with the railroad. I loved the railroad. "), there was plenty of music around the Miller household. His older brother Norman taught him to play the guitar. Although singing came naturally, Frankie was more interested in sports than music early in his life. He actually enrolled in Victoria Junior College on a football scholarship, and even thought seriously about a career as a boxer. Eventually the lure of country music became too strong. Before long, Frankie and Norman had formed a band and were playing local clubs. Their musical influences were pretty easy to spot. 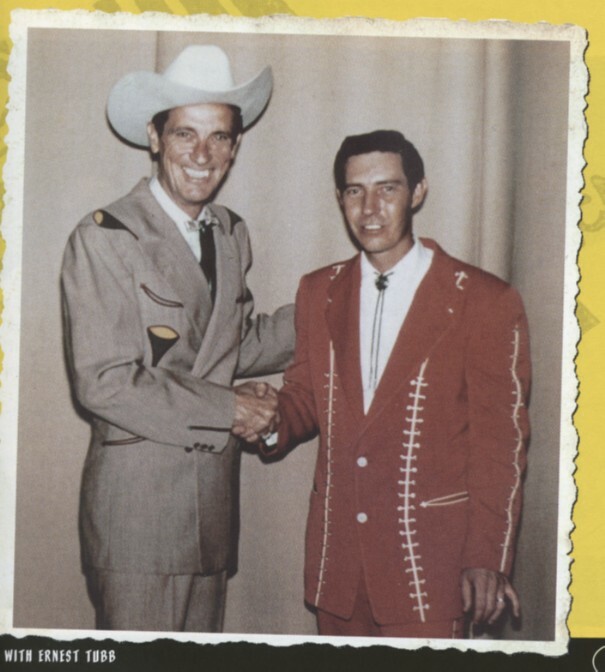 Like almost everyone in the business, they were affected by Hank Williams' style and sound. But they were Texans, and that meant more than just a little bit of Lefty Frizzell and Ernest Tubb. Like most barely professional musicians working local clubs, Frankie had to be a human jukebox. The patrons wanted to hear the songs they knew from records and radio. It was up to Frankie and the Drifting Texans, as he named the band, to provide those familiar sounds. Original material, if tolerated at all, was offered in very small doses. The band's popularity along the Gulf Coast was boosted by a daily radio show over KNAL in Victoria. In 1951, before his 20th birthday, Frankie signed a record deal with Bill McCall, owner of 4 Star Records. The deal was brokered by Houston's Pappy Daily, owner of South Coast Amusement Company and soon-to-be founder of Starday and, later, D Records. Daily was instrumental in bringing other Texas-based acts to 4 Star, although no one in the music business, then or now, seems to have written or uttered a kind word about McCall's business dealings. Over the next year, Frankie traveled to ACA Studios in Houston and recorded 14 songs, 12 of which were issued on McCall's Gilt Edge label (all these sides appear on Bear Family BCD 15909, released in 1996). The conspicuous two-year gap that appears next in Frankie Miller's discography corresponds to the Korean War. That cost Frankie two precious years of his career at the very time he was gathering momentum. According to Kevin Coffey, whose detailed notes to BCD 15909 document those early years, Frankie was set to sign a contract with Decca Records when he was drafted by the Army. There is no telling how his life and career would have unfolded had he spent the time in Nashville rather than Asia. At the least, the music on this collection would probably not have been recorded. When Sgt. Frankie Miller returned from his stint with the Army in early 1954, he continued his recording career by signing with Columbia, rather than Decca. Over the next year, he cut 12 sides, this time in Dallas at the Jim Beck Studio. Ten of the 12 sides were released as singles and all 12 appear along with the earlier Gilt Edge material on BCD 15909. That CD ends with the last of his sessions for Columbia Records held in Dallas in October, 1955. That was it. By the start of 1956, which would prove to be an exciting year of change in American popular music, Frankie Miller was a man without a recording contract. He was a free agent, able to work with the musicians of his choice in the recording studios of his choice. All he lacked was a label to finance the recordings and release them. Customer evaluation for "Blackland Farmer - The Complete Starday Recordings And More (3-CD)"